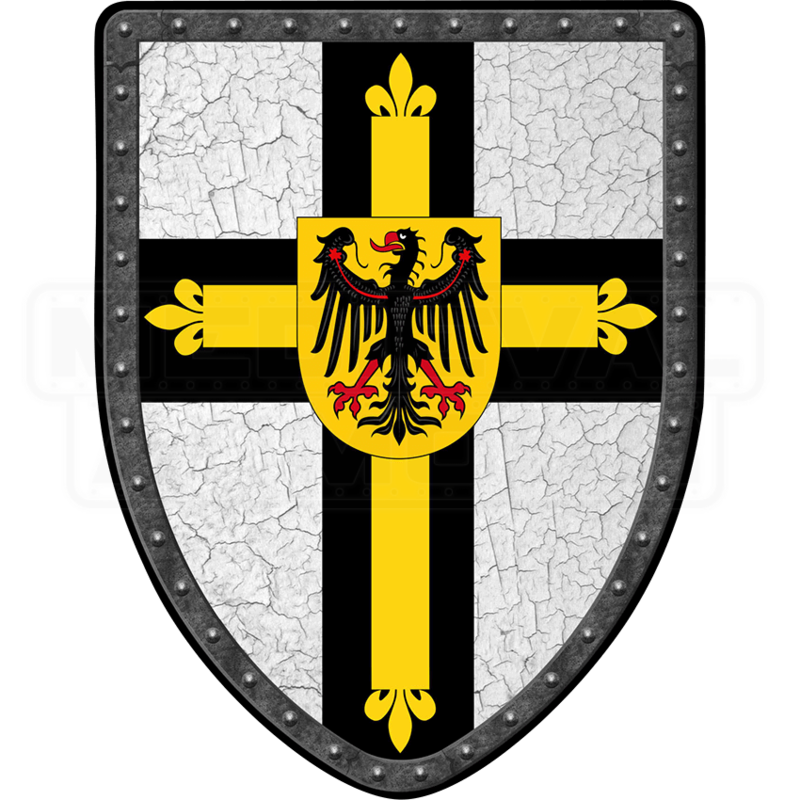 Put your combat skills to the test as a knight of the Teutonic Order with the Teutonic Cross Steel Battle Shield. 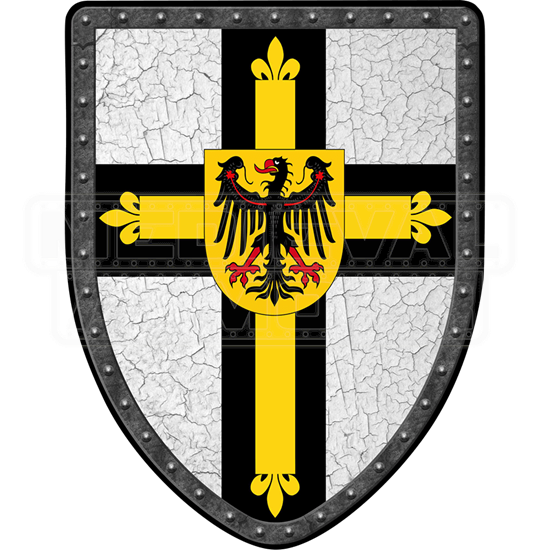 Crafted from 16-gauge steel, this historical reenactment shield ensures you are ready to aid those on sacred pilgrimage. The heraldic artwork displays across the front of the heater shield. An imperial eagle with double crosses appears over a crackled gray background. Printed riveted iron trim lines the outer edges. A proprietary adhesive was used to apply the canvas print while a clear coat spray aids preservation. With options between a hanging chain for display or leather straps for a battle-ready grip, this fully functional shield deserves an honored place in your armory.